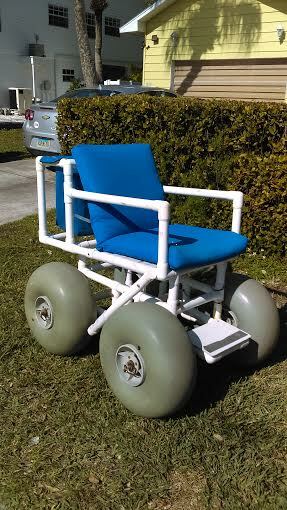 For our customers who have trouble making the trip from the sand to sea our beach wheelchairs can help you out! With balloon tires, PVC piping, and comfy seating our chairs allow everyone to enjoy the Gulf shores. Save your own chair from enduring the sand and the salt. We offer daily, three day, and weekly rentals. Make sure to book in advance, these chairs are very popular. Grill up some local seafood or have some hot dogs and burgers by the pool. Whatever you’re in the mood for rent our grill and we will provide the charcoal. Save the hassle from bringing your own wheelchair and rent one of ours! Our chairs are collapsible and comfy to use. We will even deliver it to you before you get to your destination.